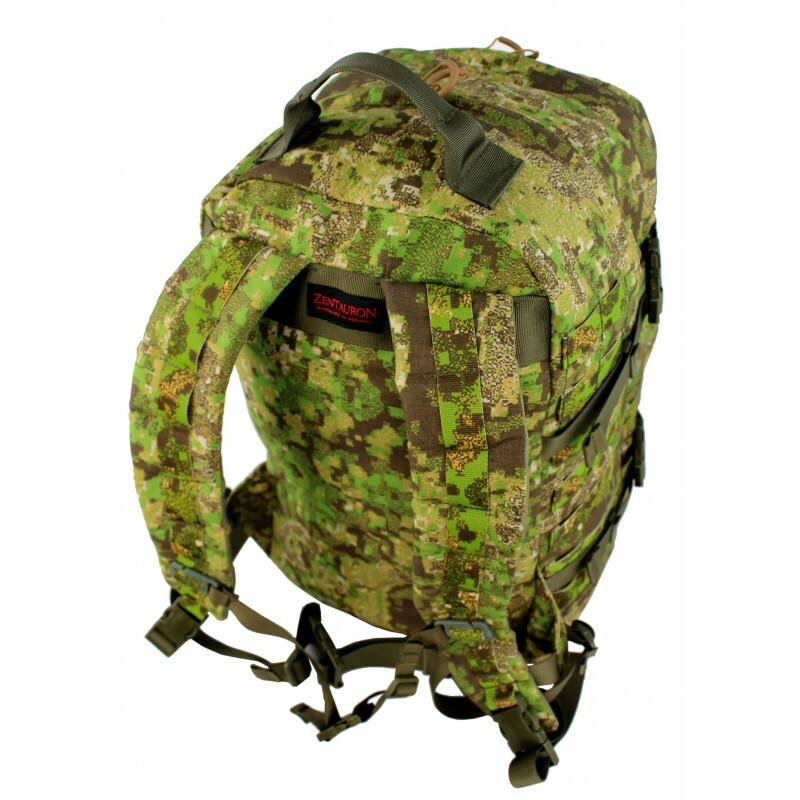 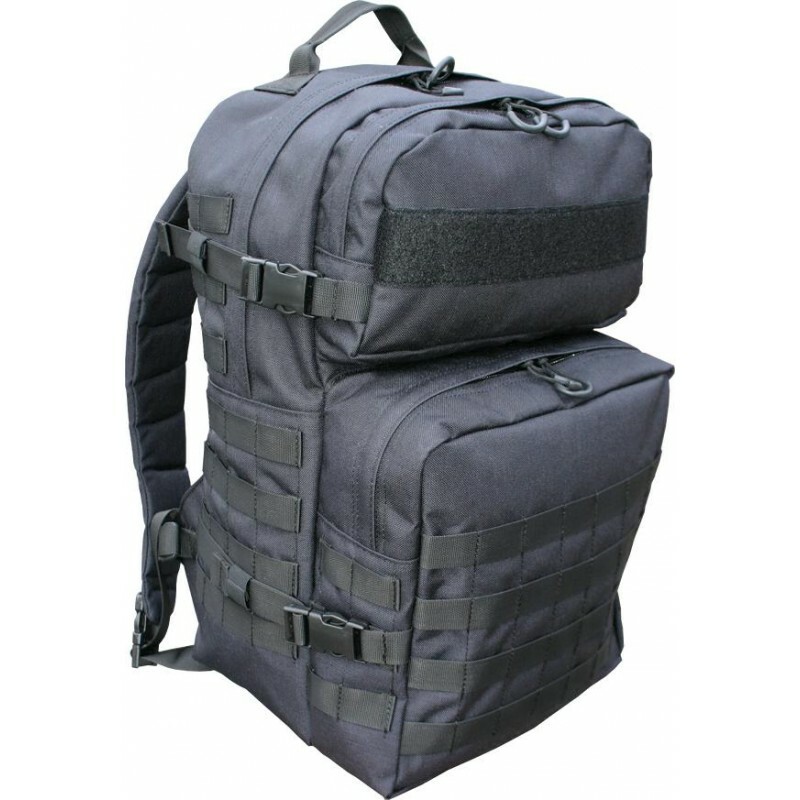 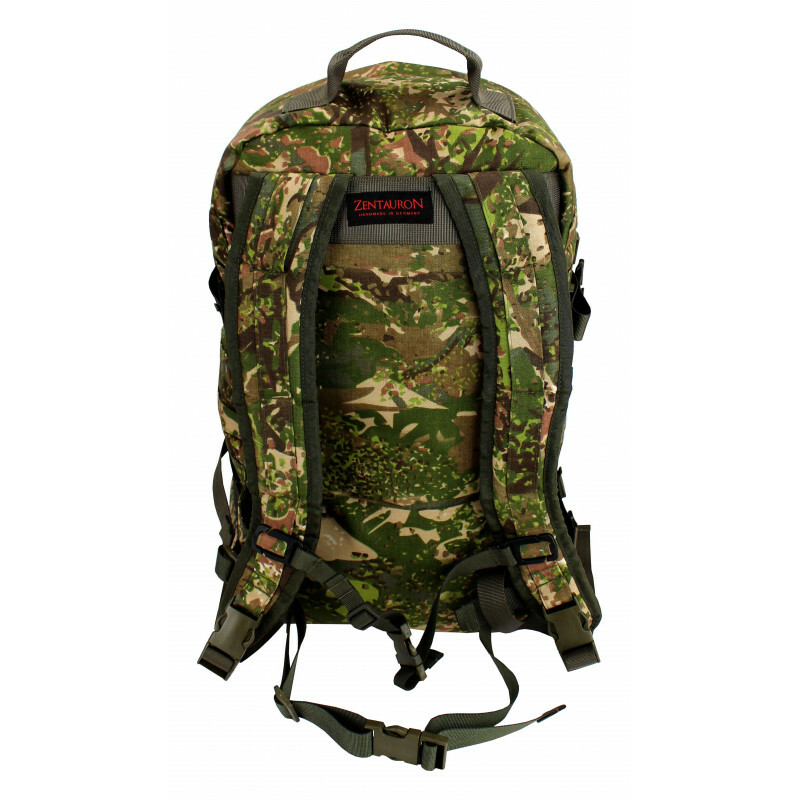 This backpack is designed as a typical 72-hour mission pack, and manufactured with the typical Zentauron modularity and quality. 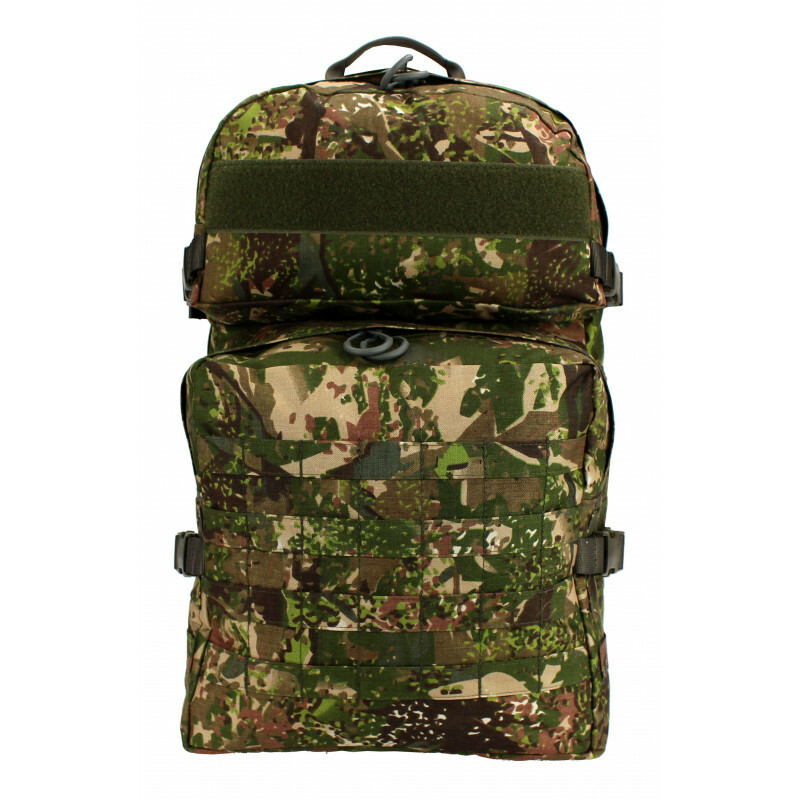 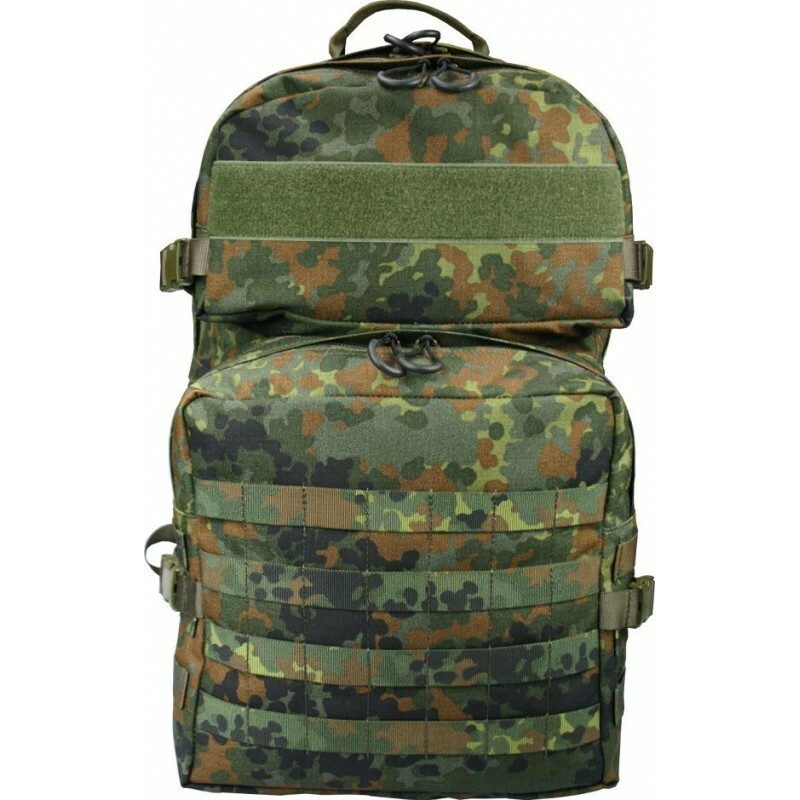 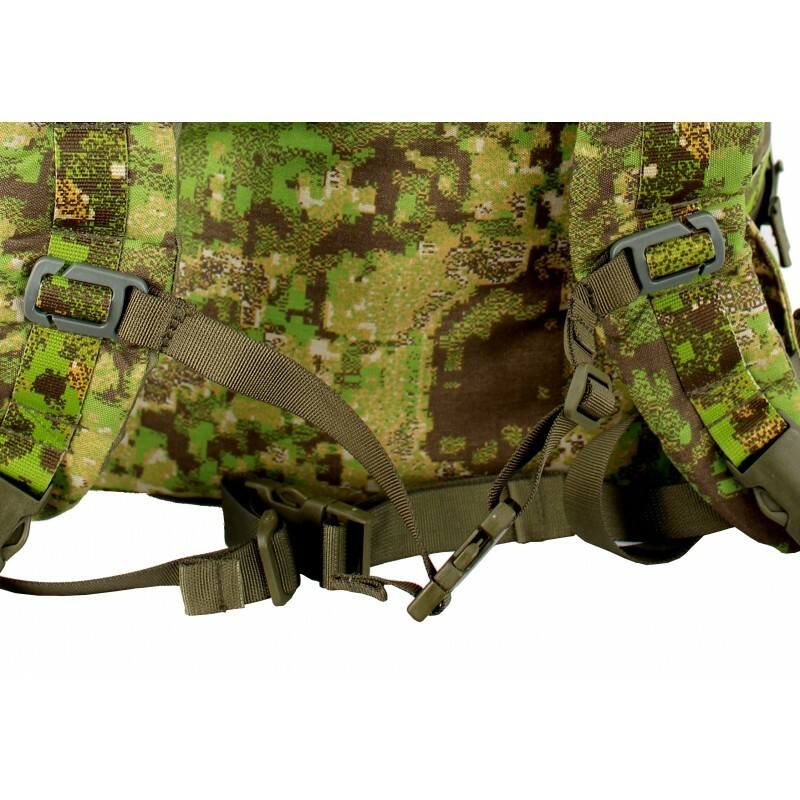 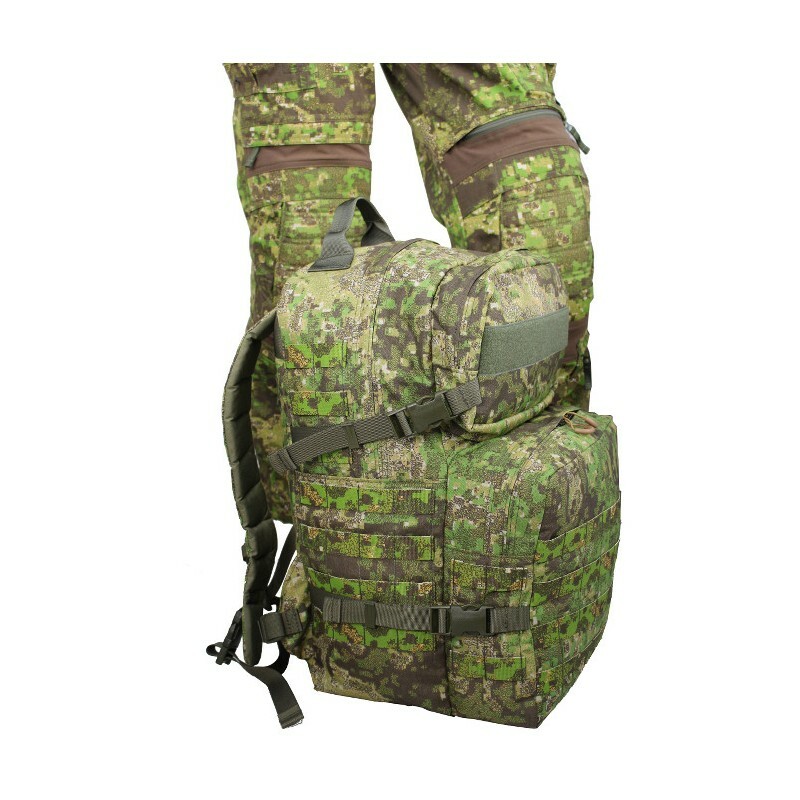 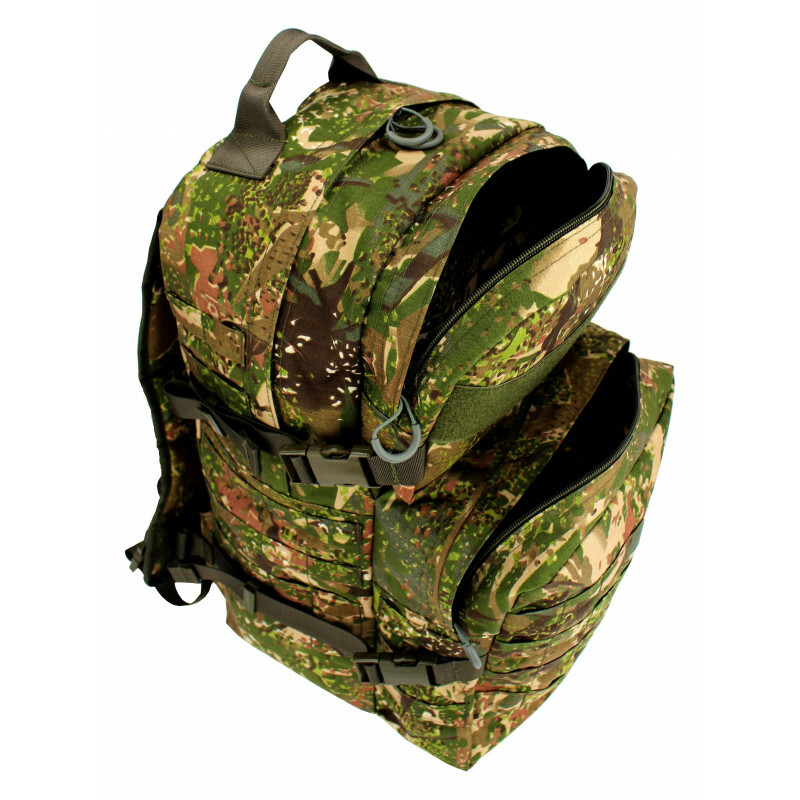 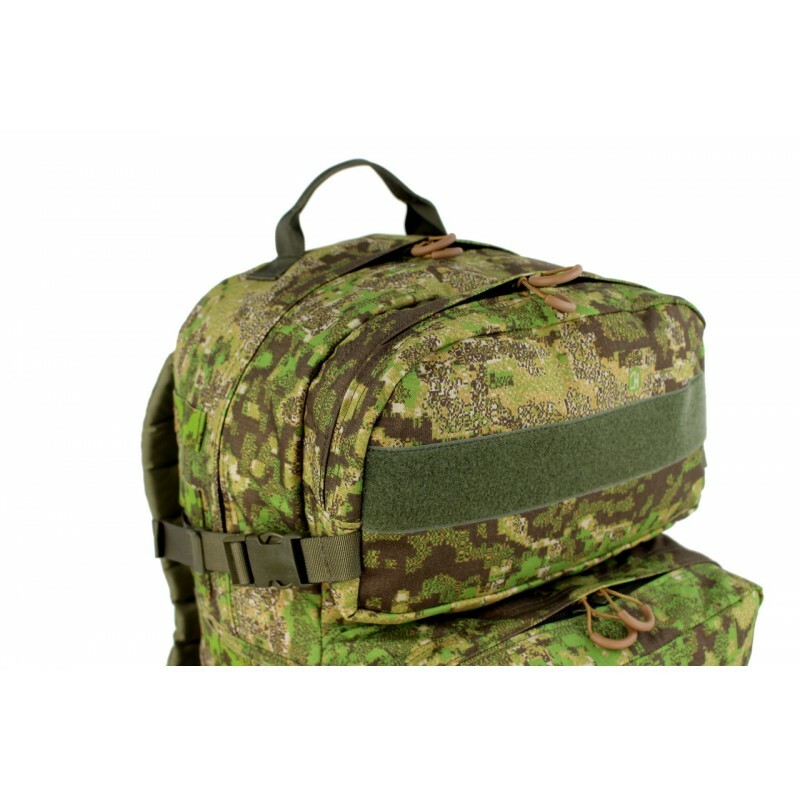 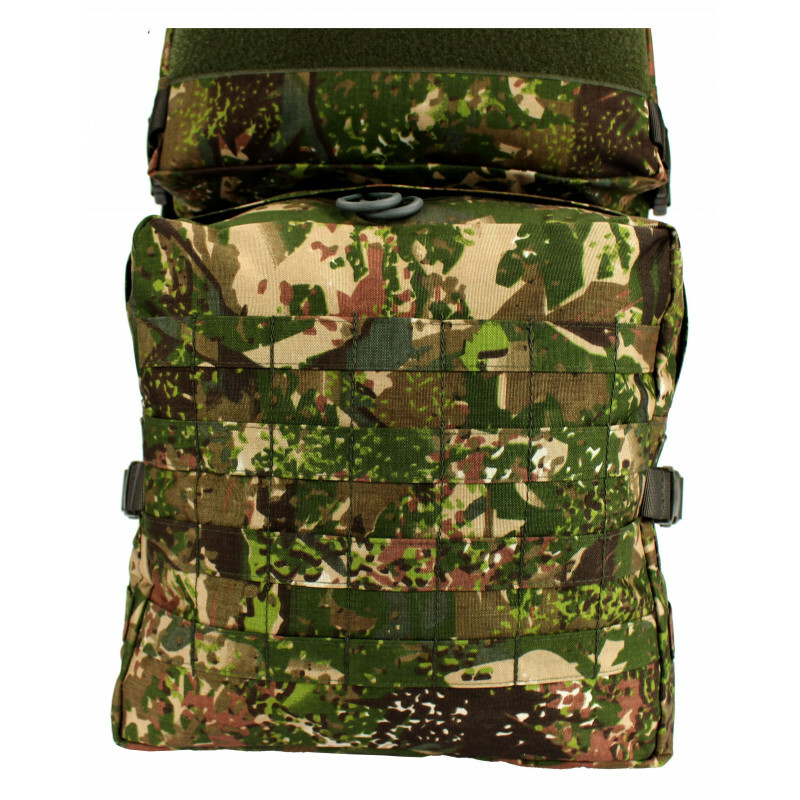 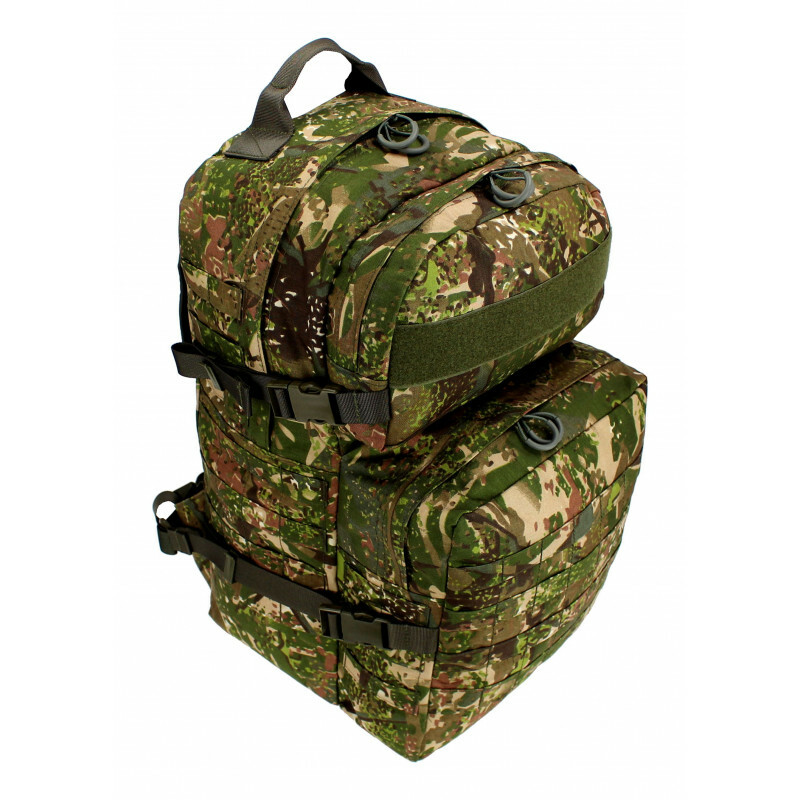 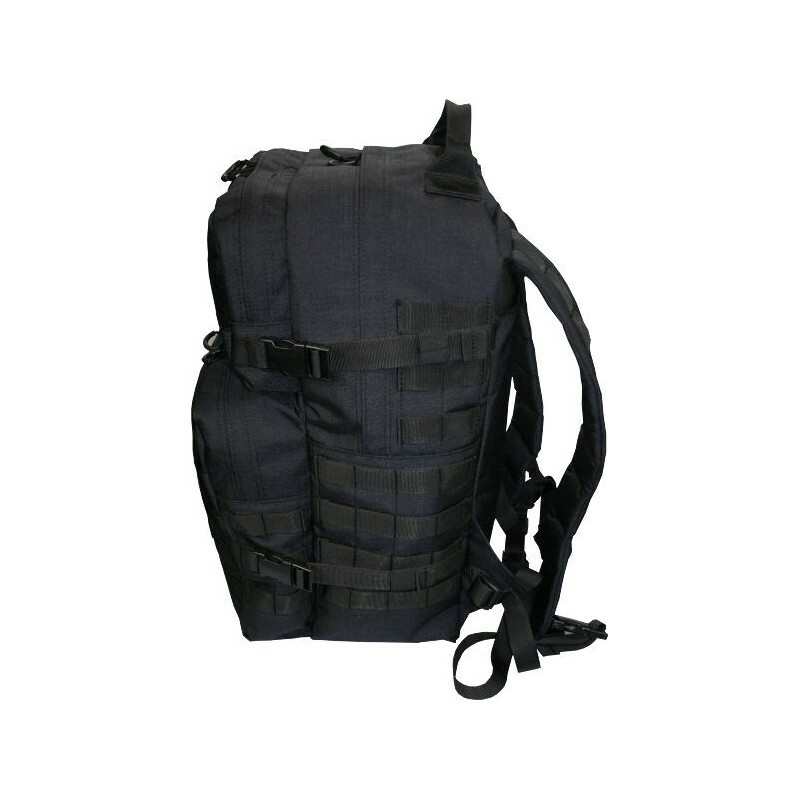 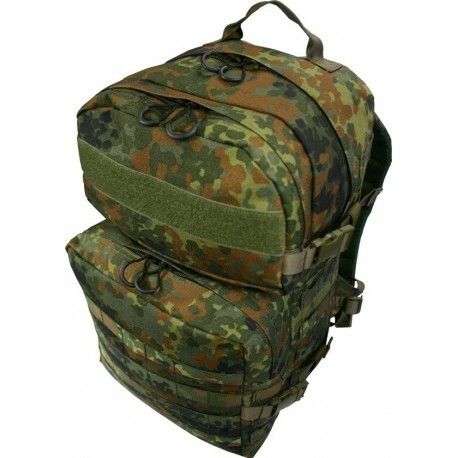 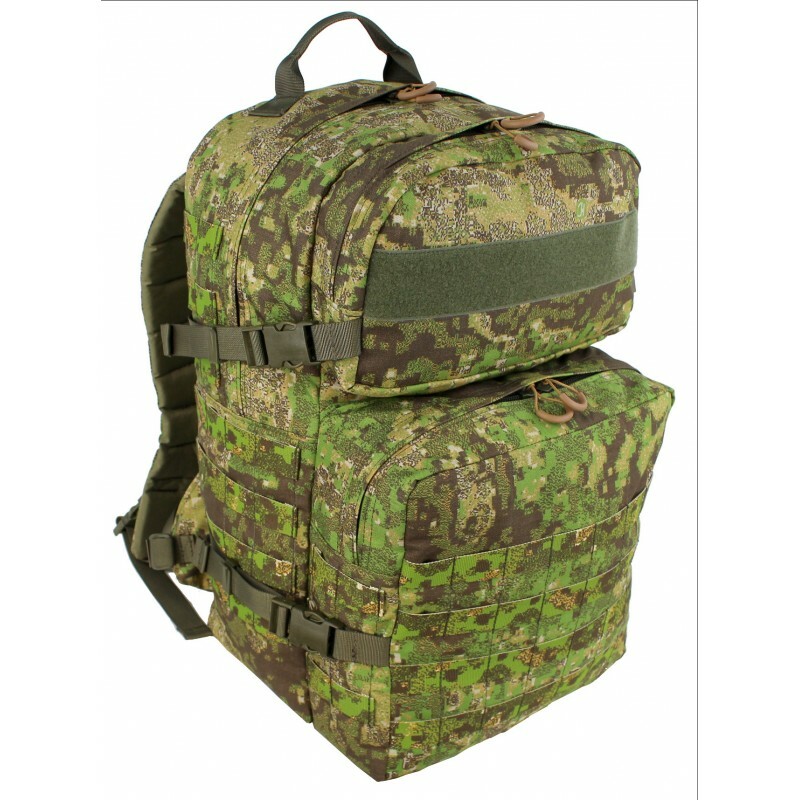 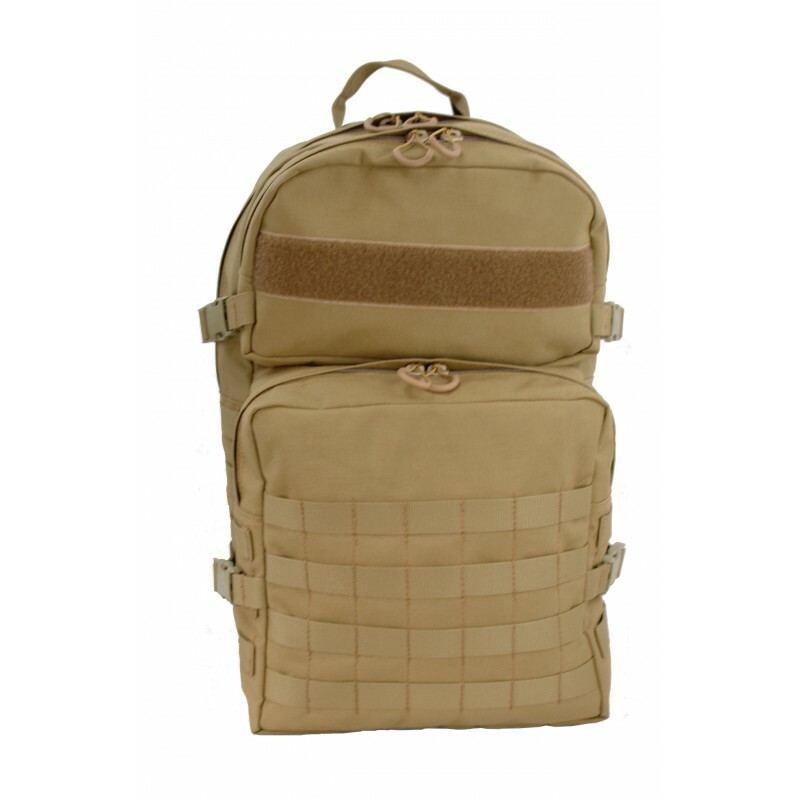 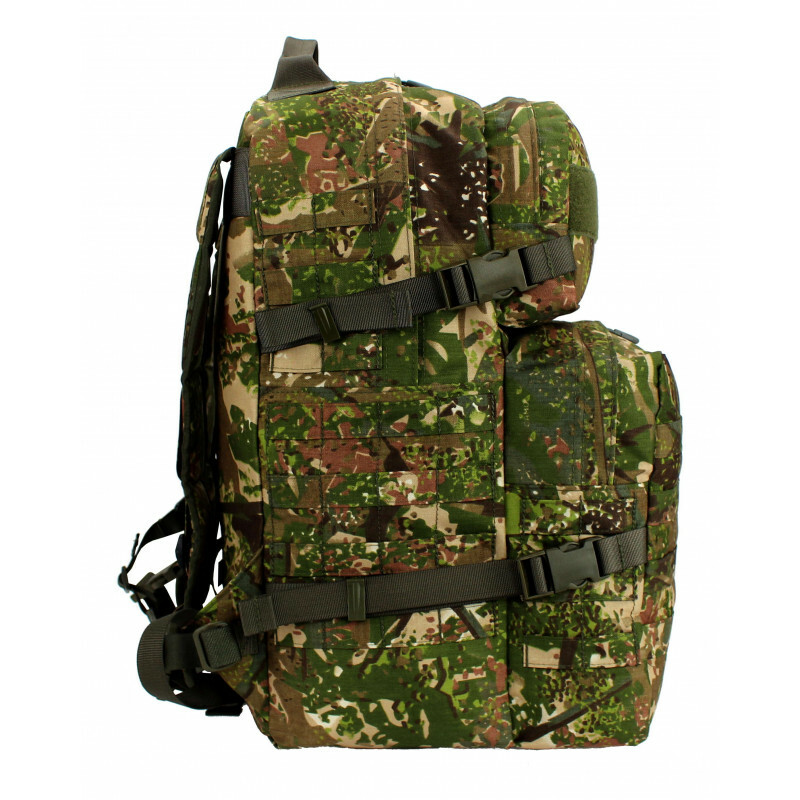 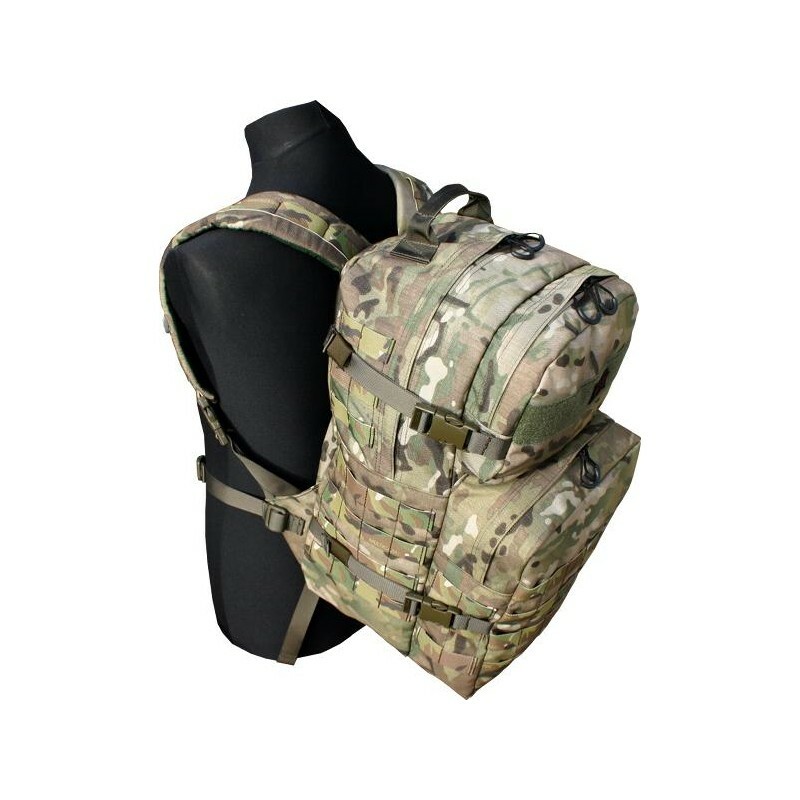 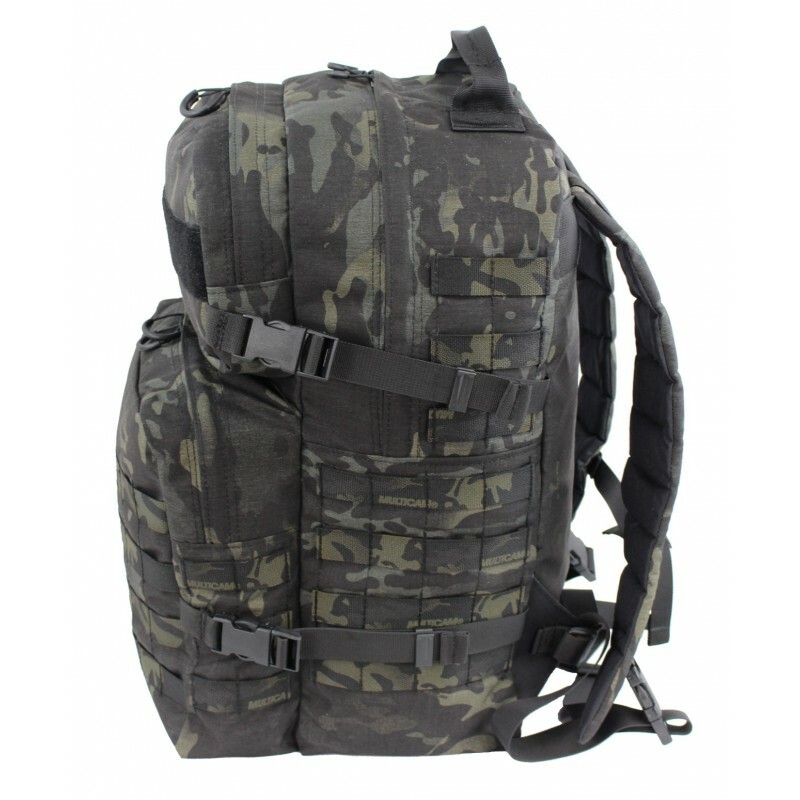 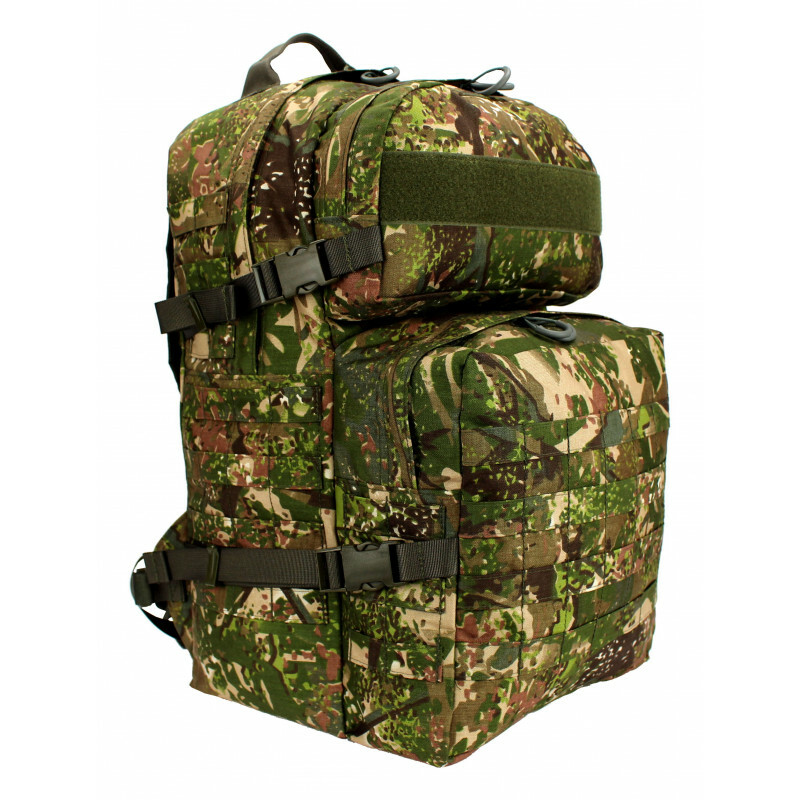 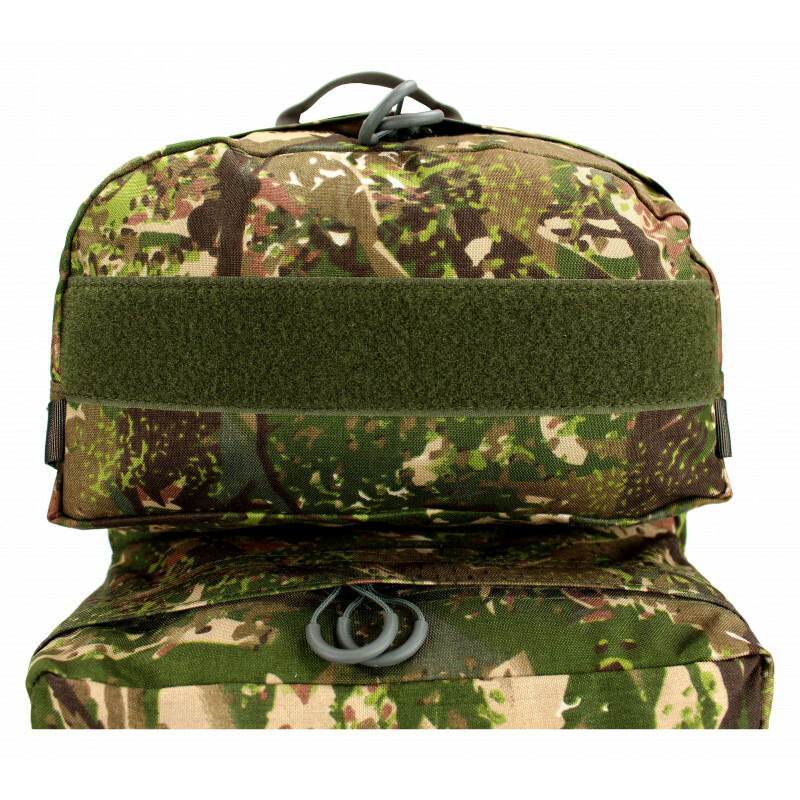 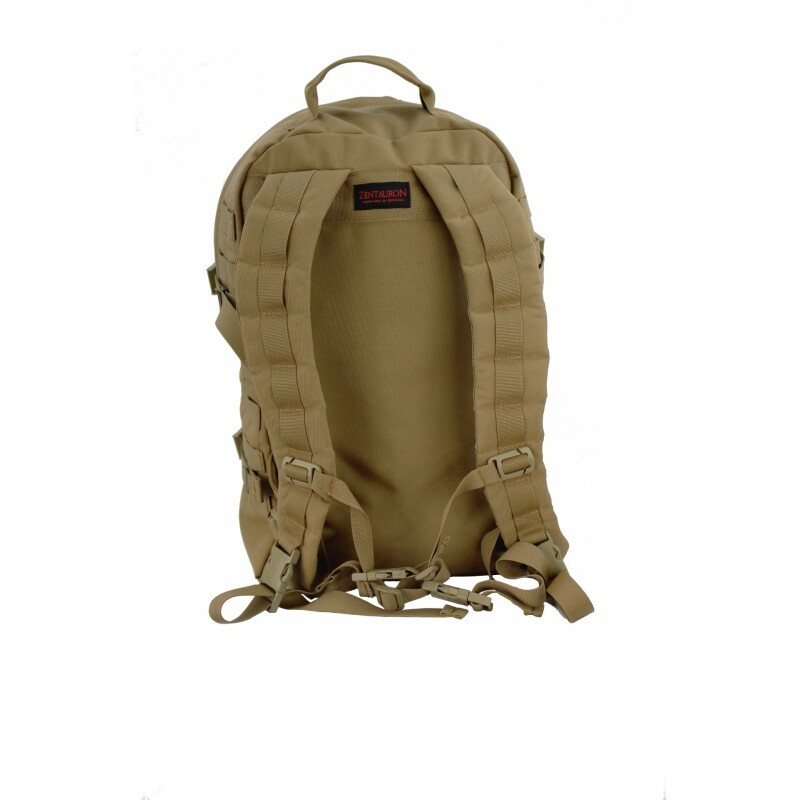 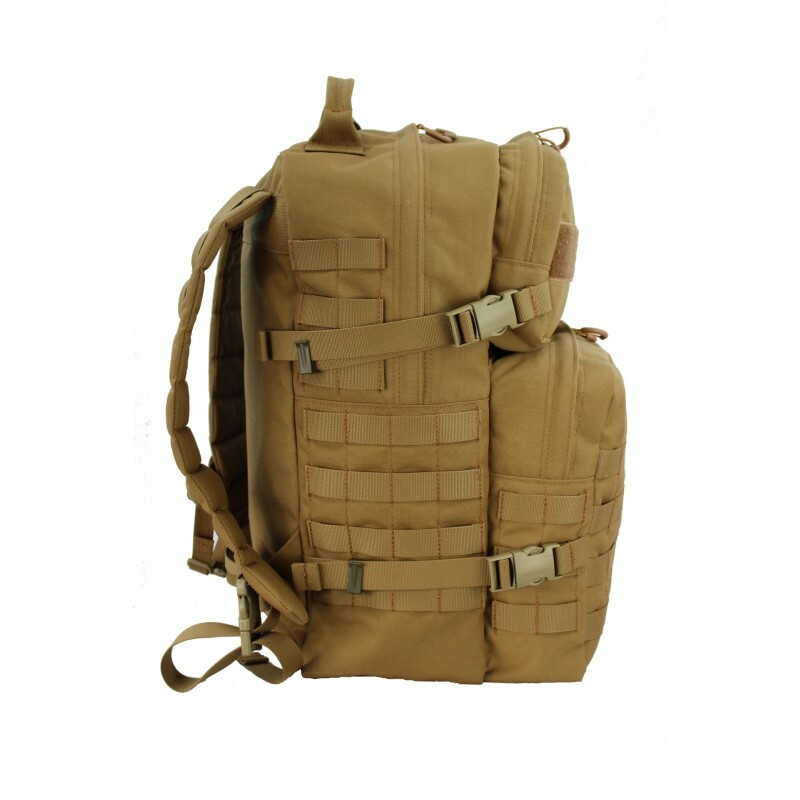 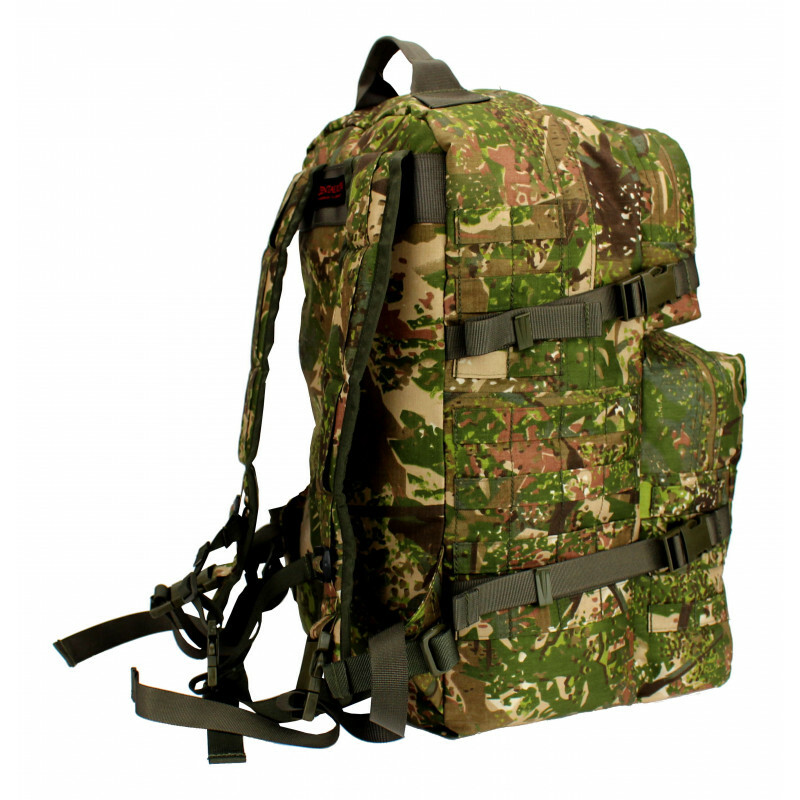 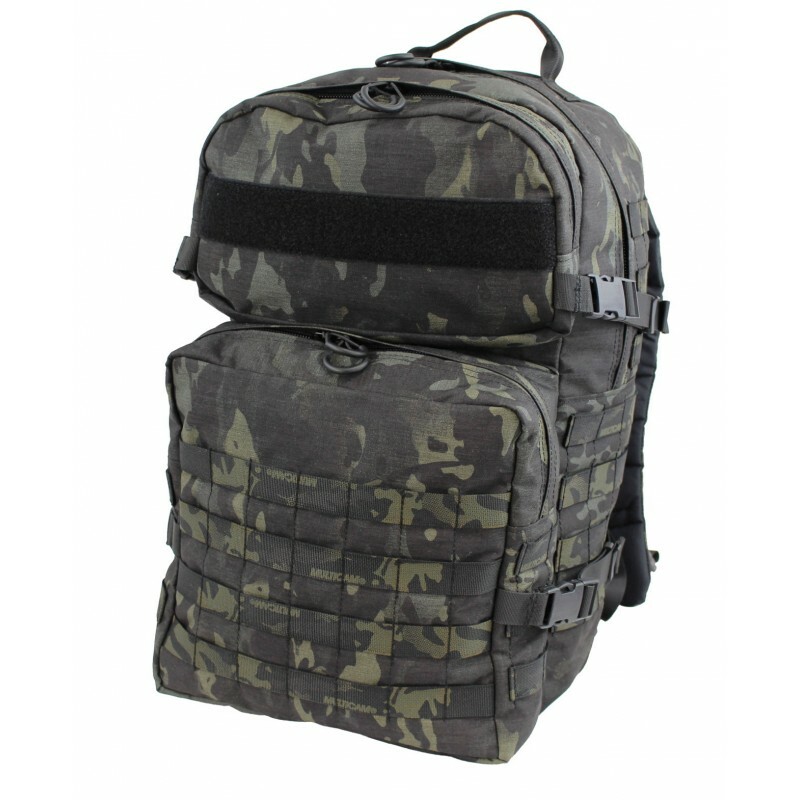 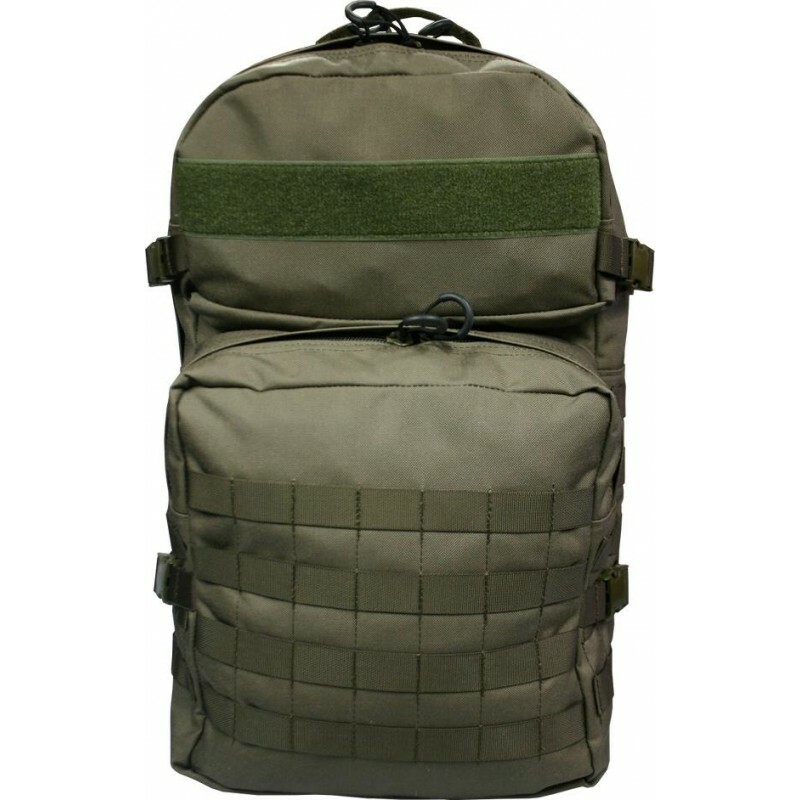 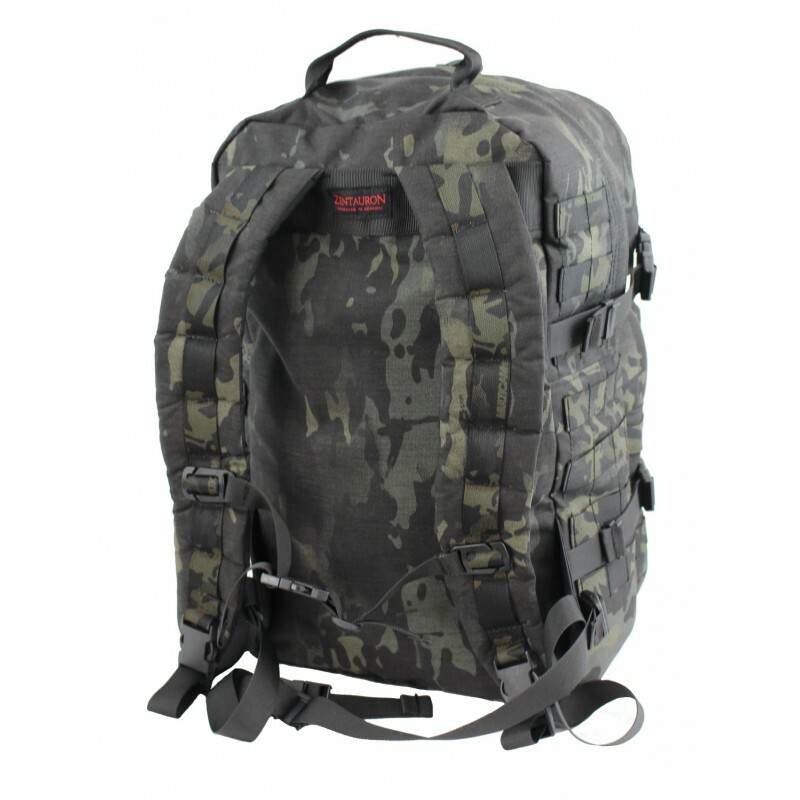 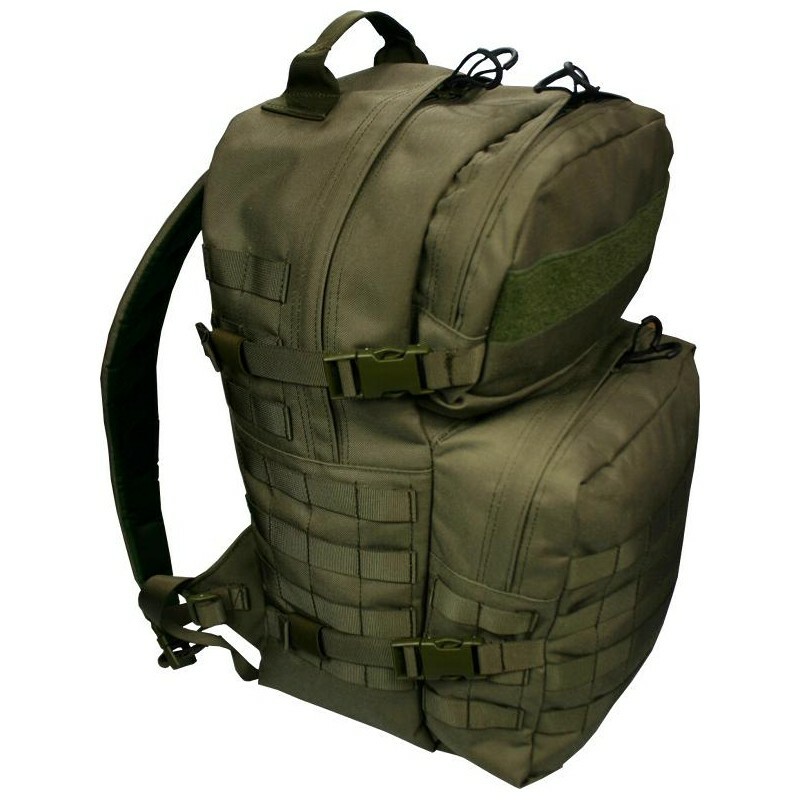 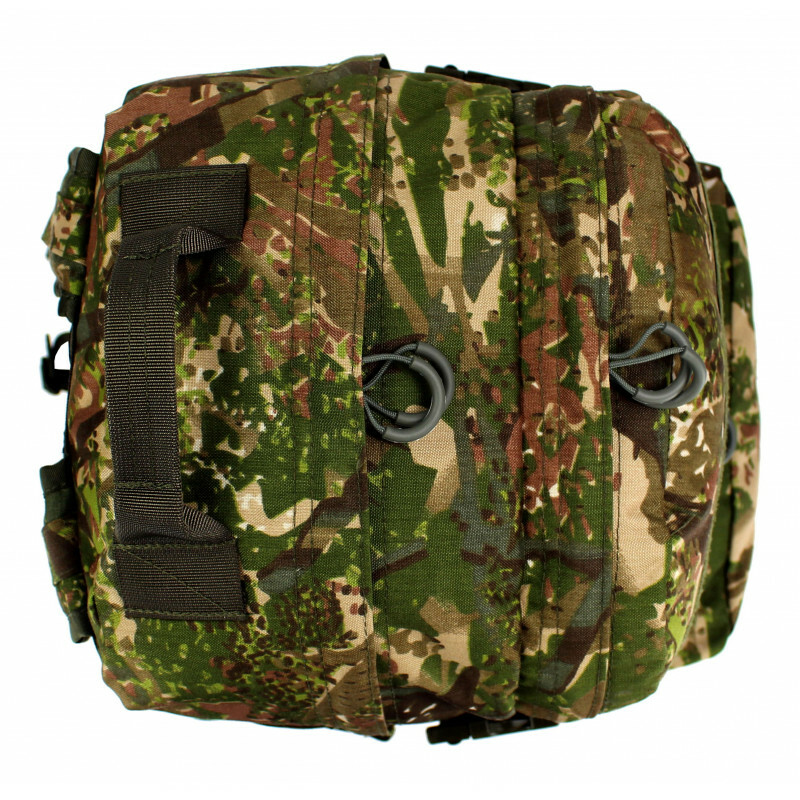 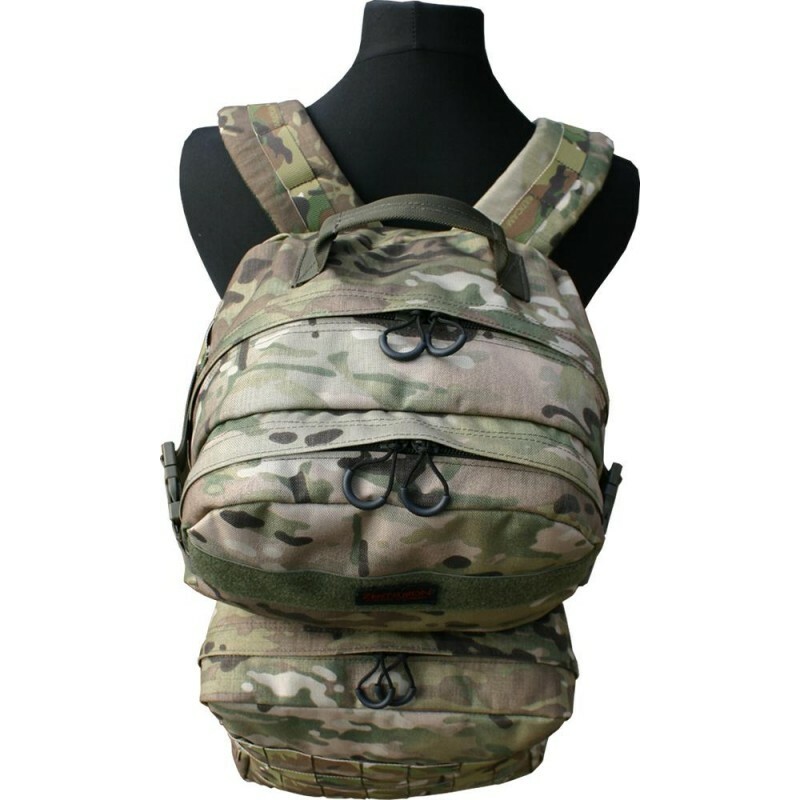 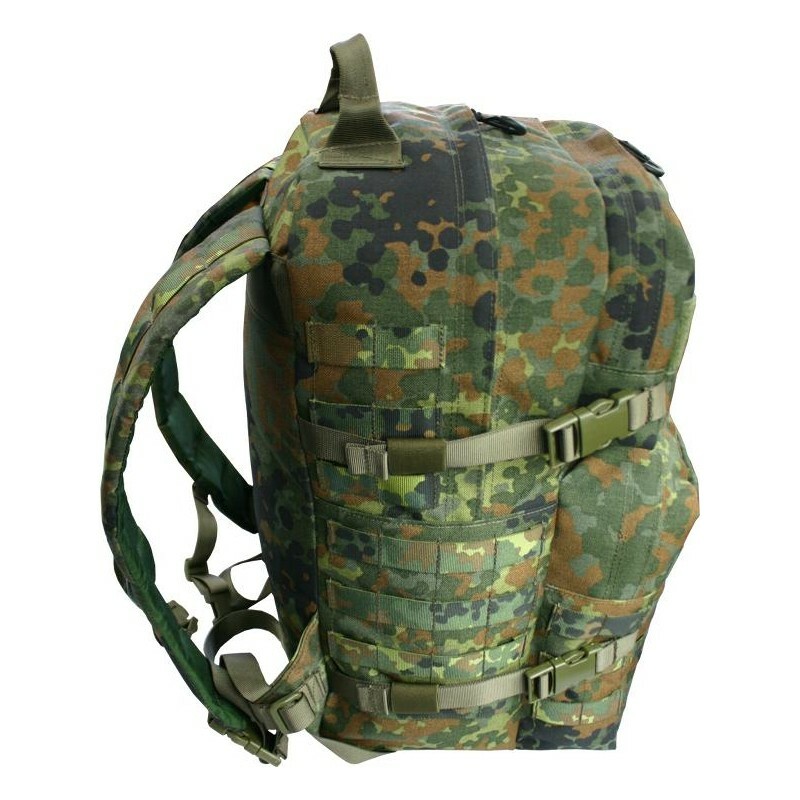 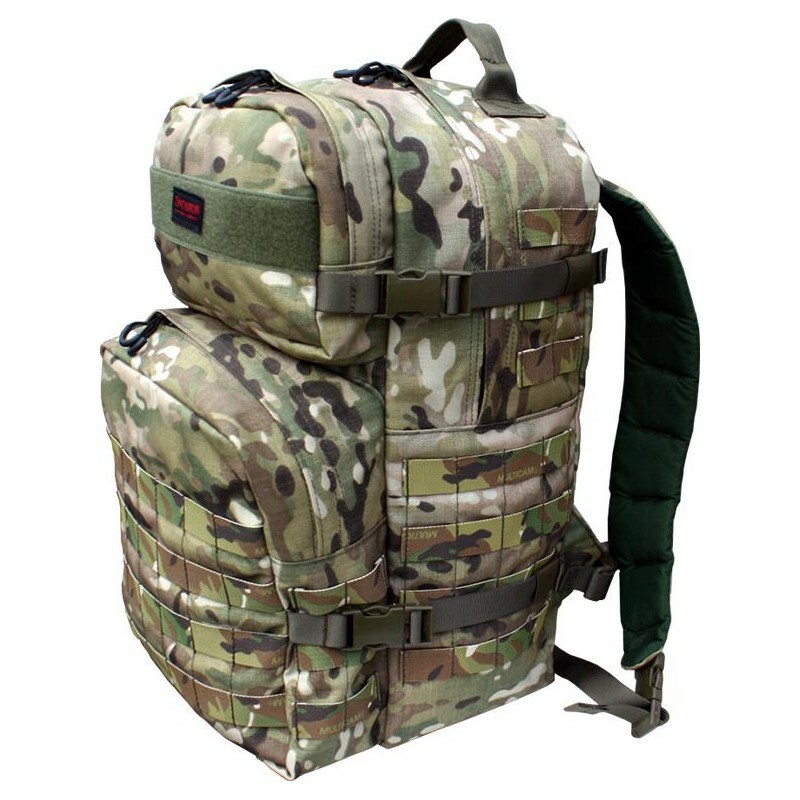 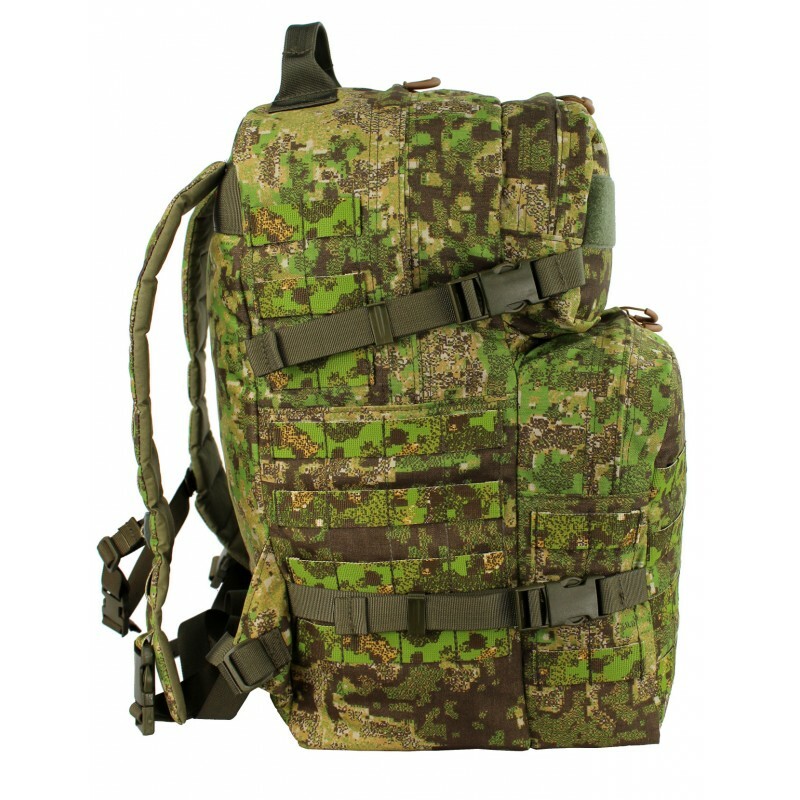 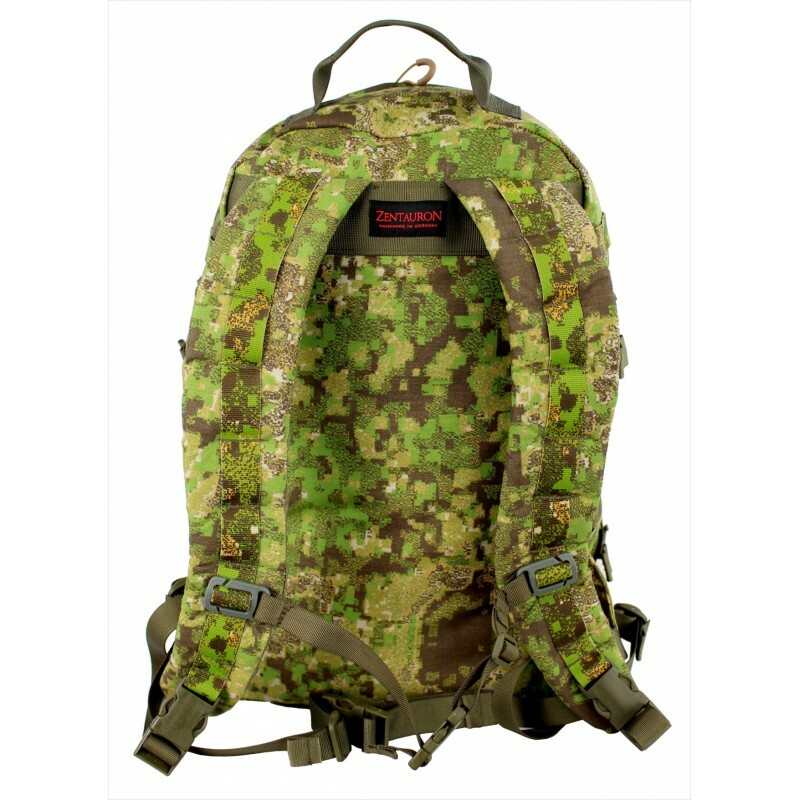 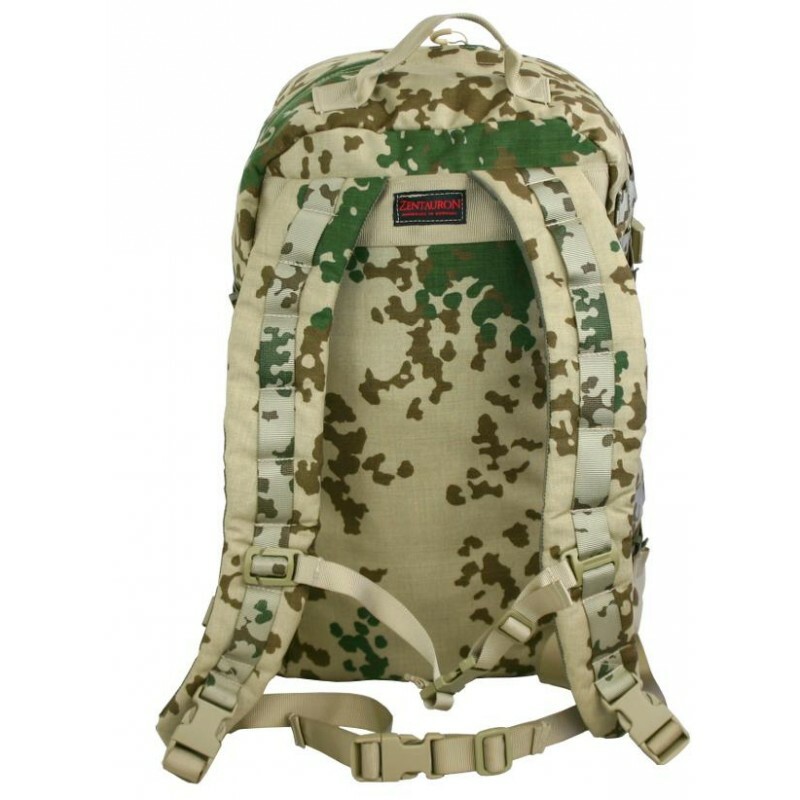 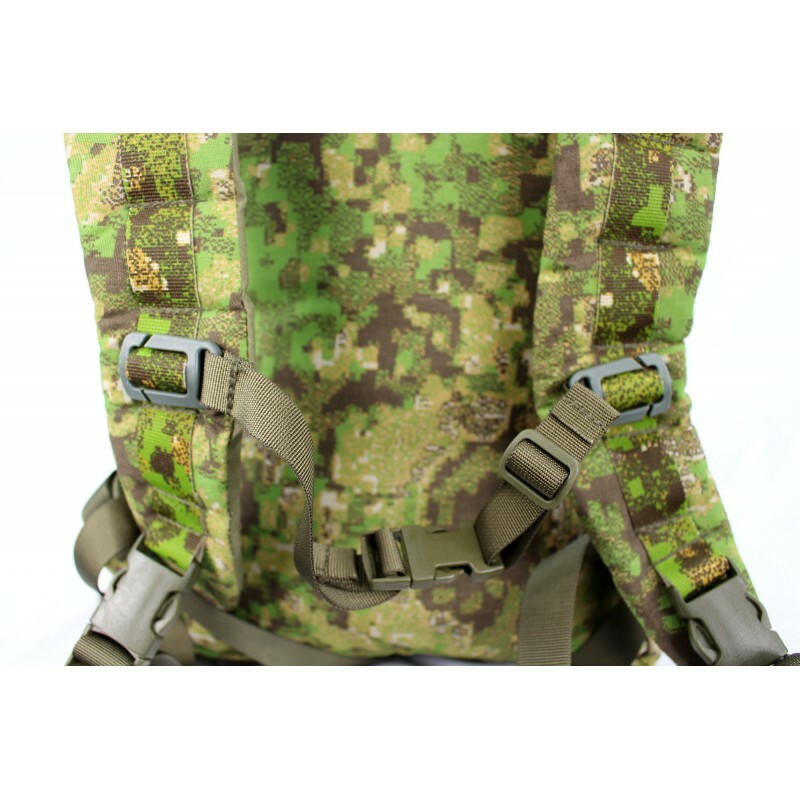 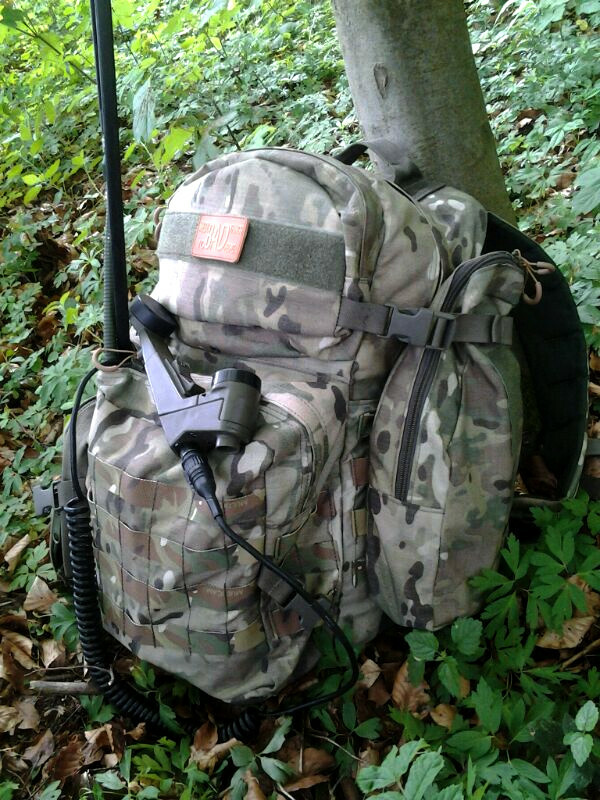 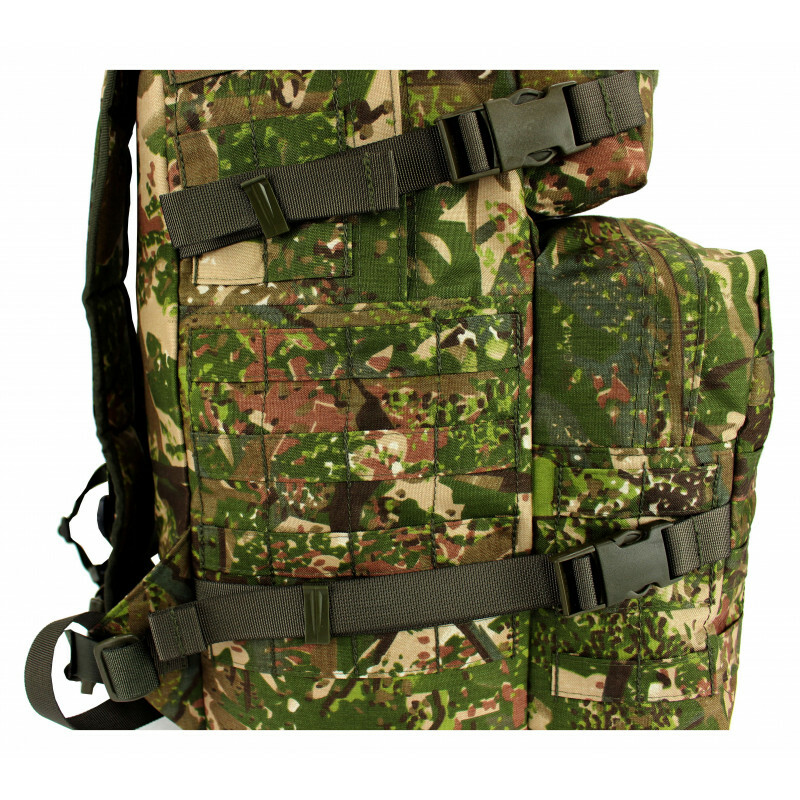 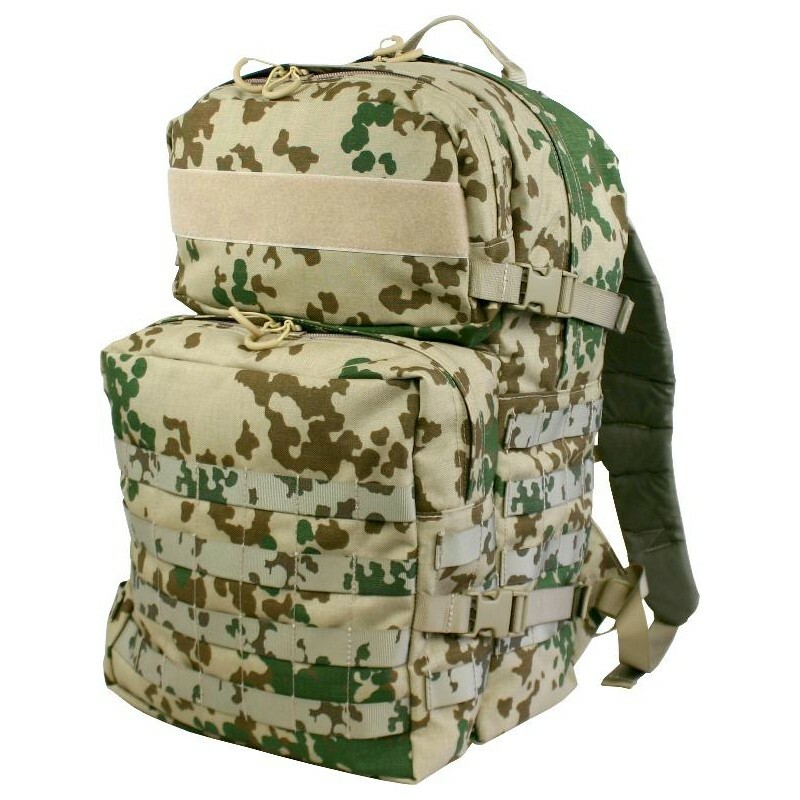 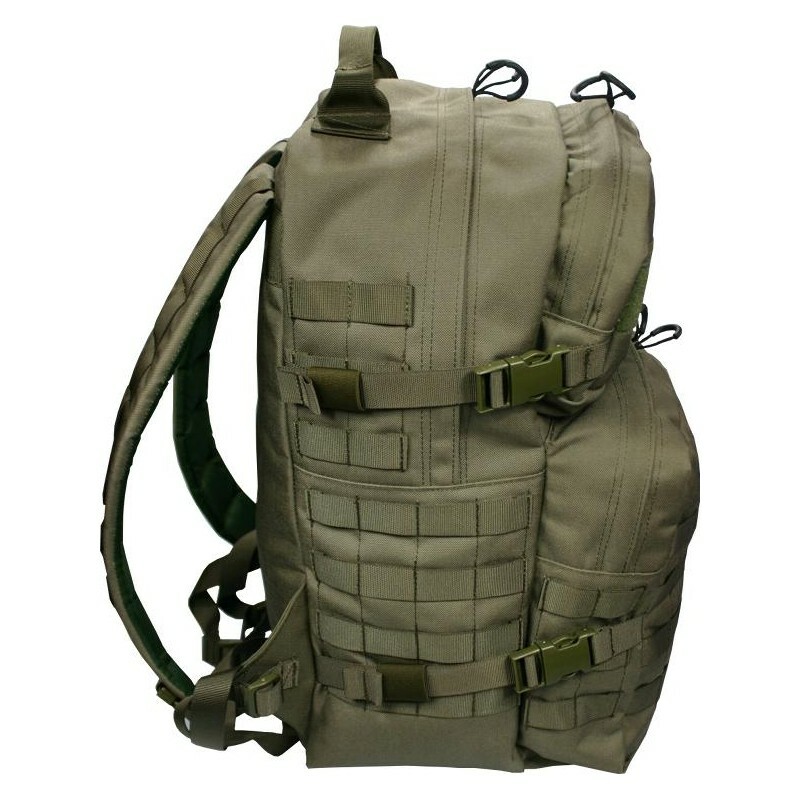 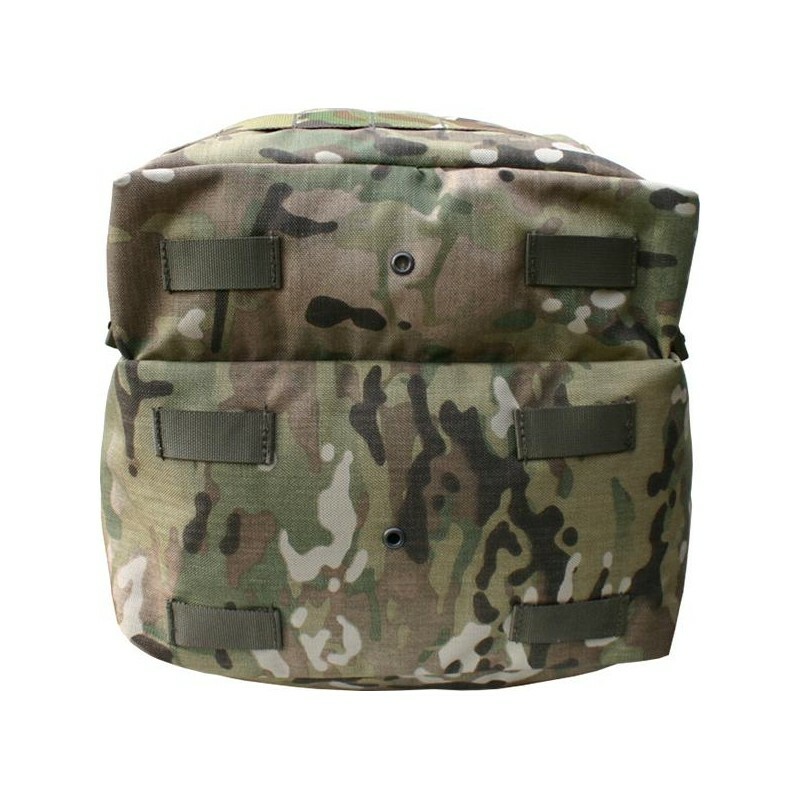 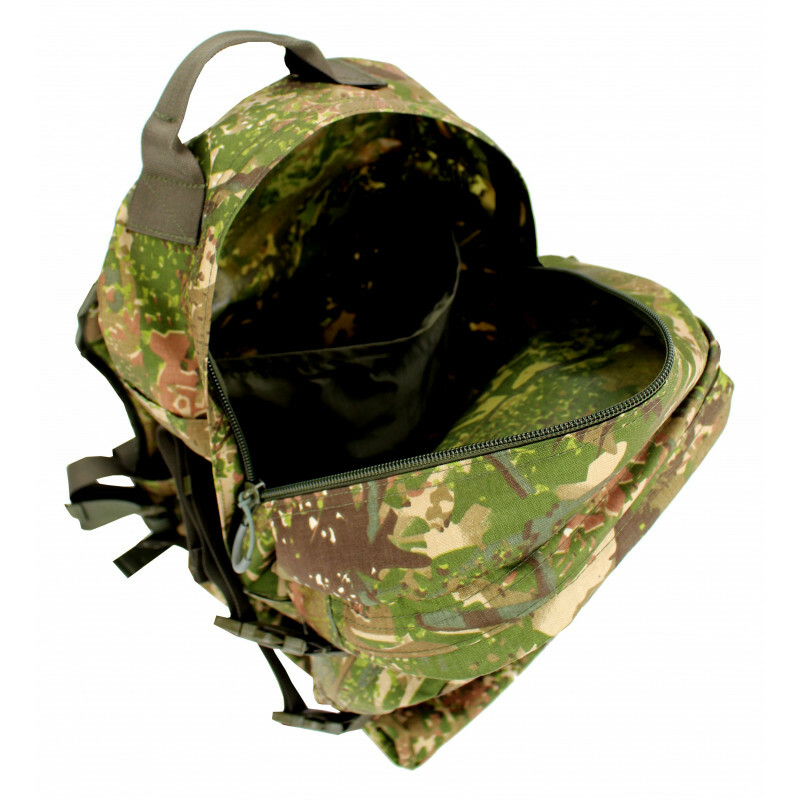 The purpose of the backpack is specially designed for military use and allows its user to organize the content optimally. 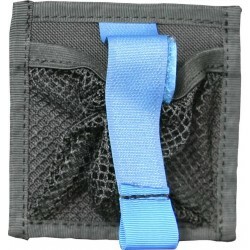 On the front is located at the top a zipper bag, where items of equipment can be placed, which are in use very often and need to be reached quickly (eye-glasses, gloves, torches, etc.). 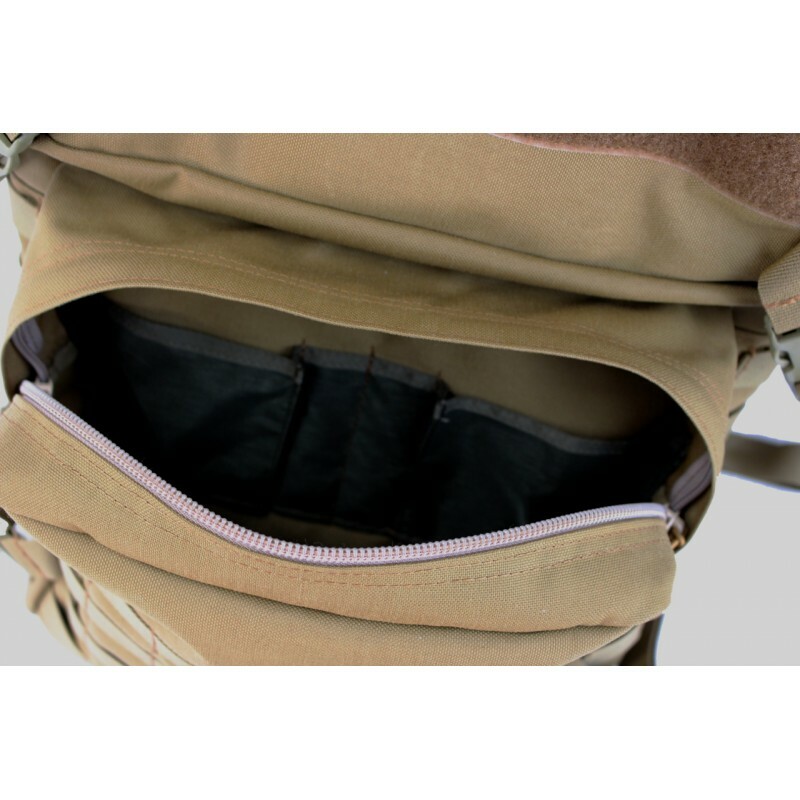 In the lowest part is integrated a big zipper bag, where you can deposit forinstance a rain-protection or a poncho. 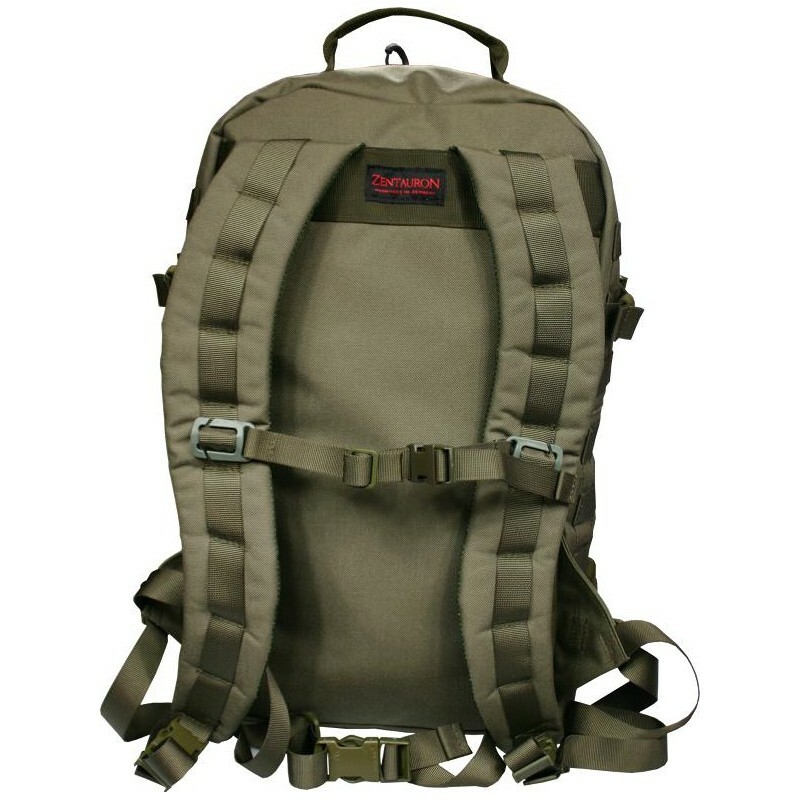 Even when these things are wet or moistly, it's guaranteed, that all other things inside the backpack keeps dry. 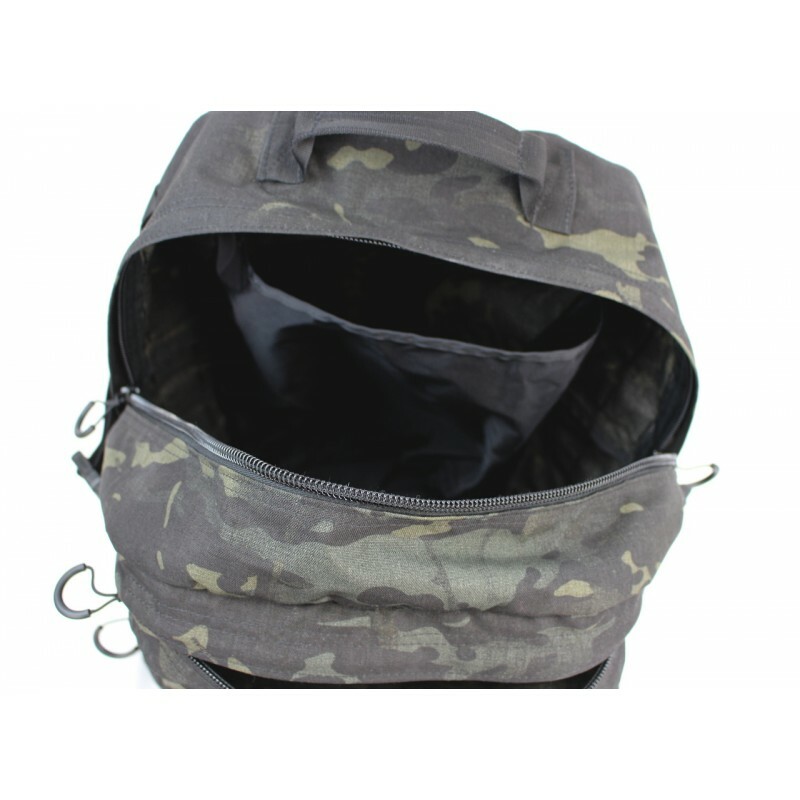 The main bag has enough space for a military standard equipment. 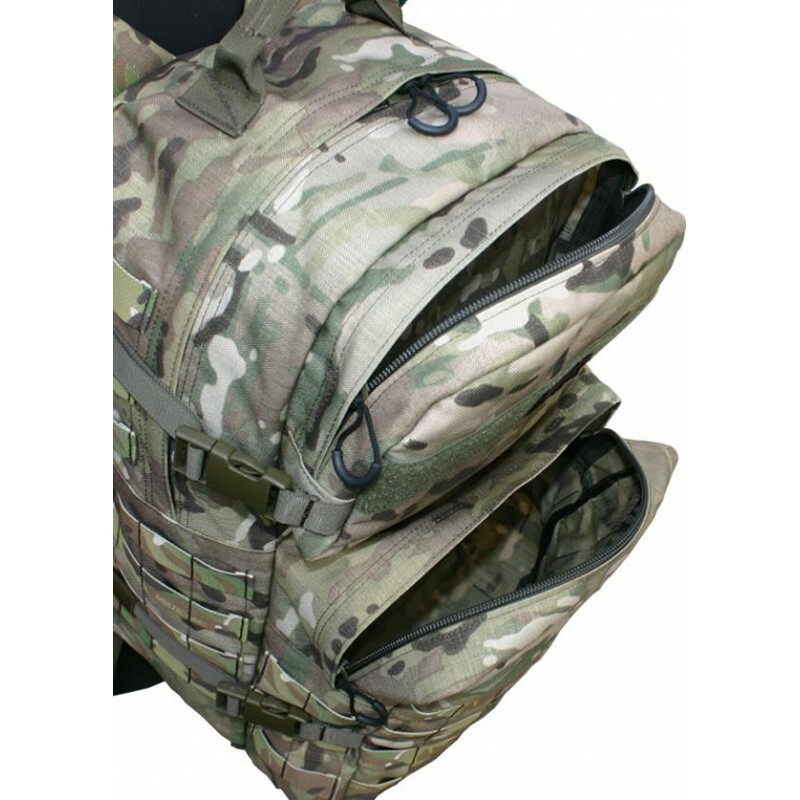 An inside slot makes it possible to use a military folding mat as cushioning. 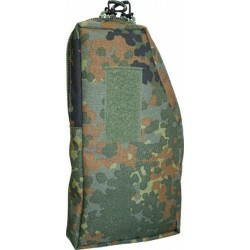 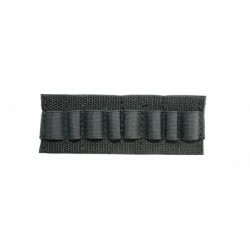 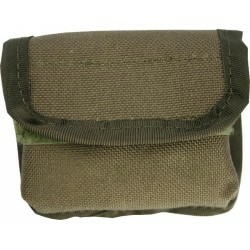 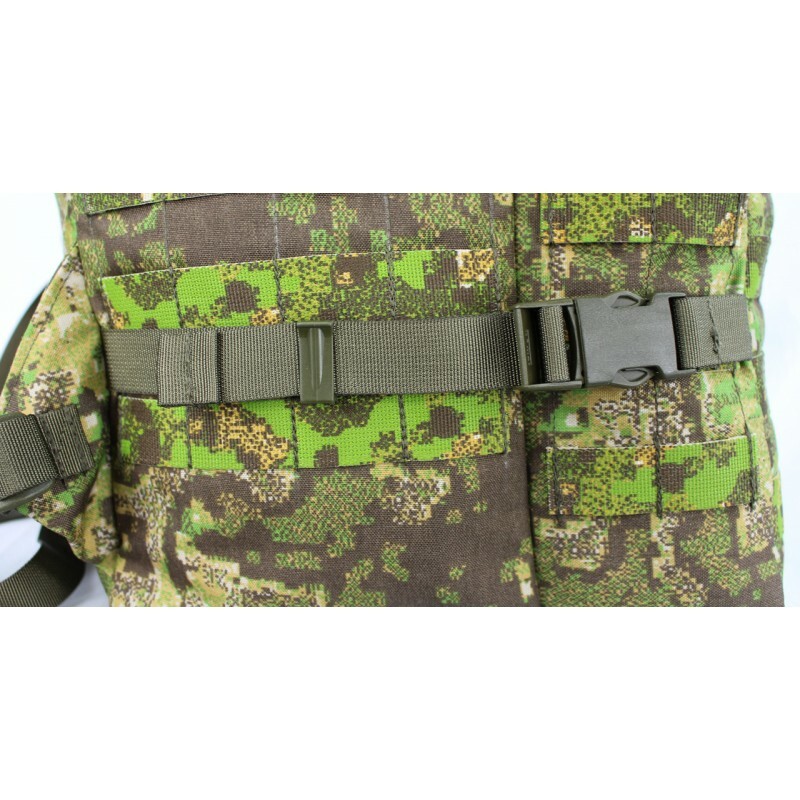 At the front part and at the sides are placed Molle-loops. 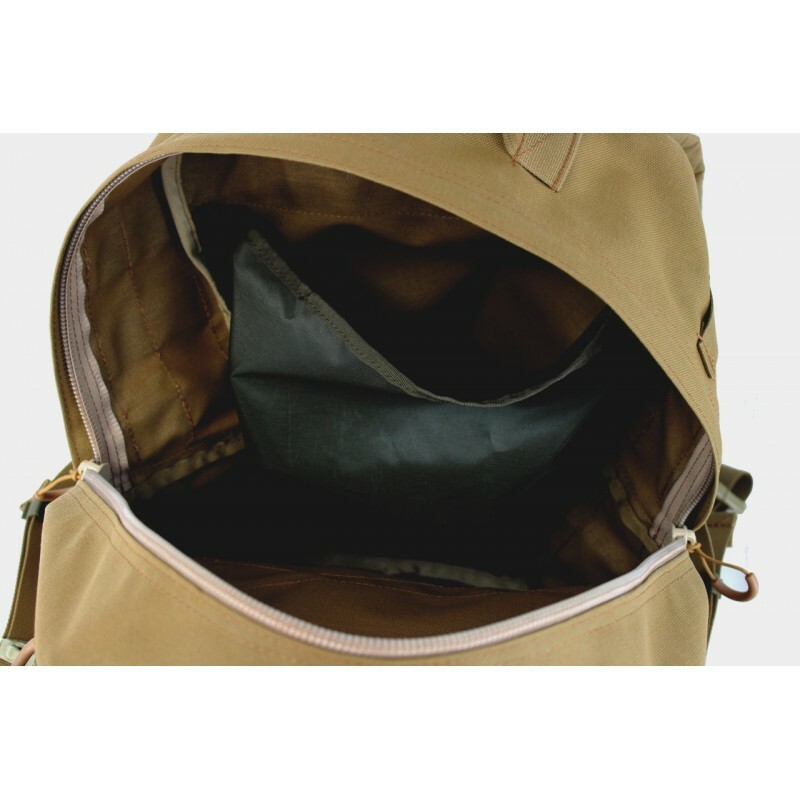 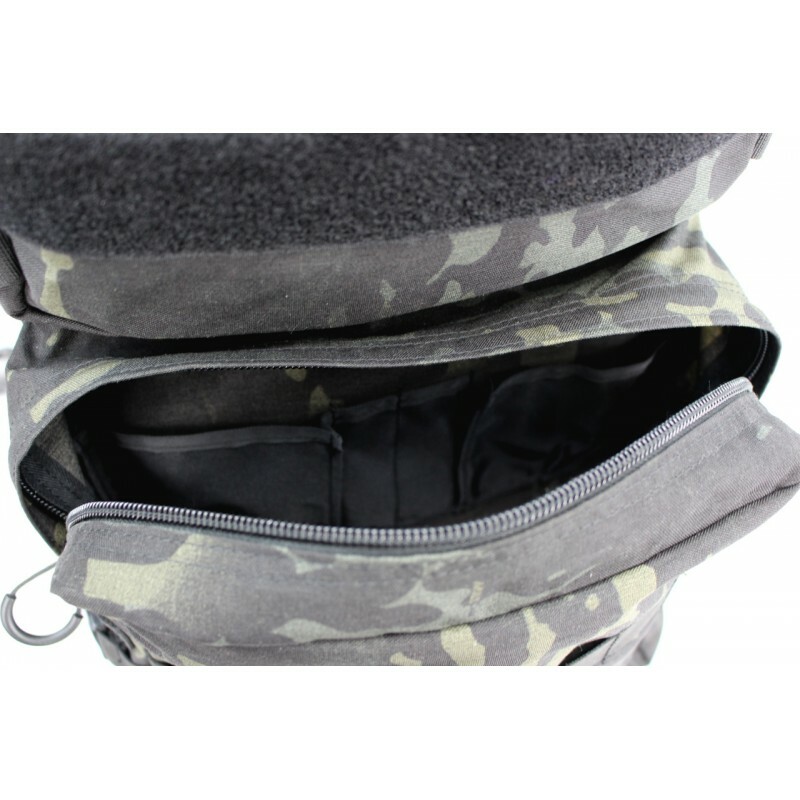 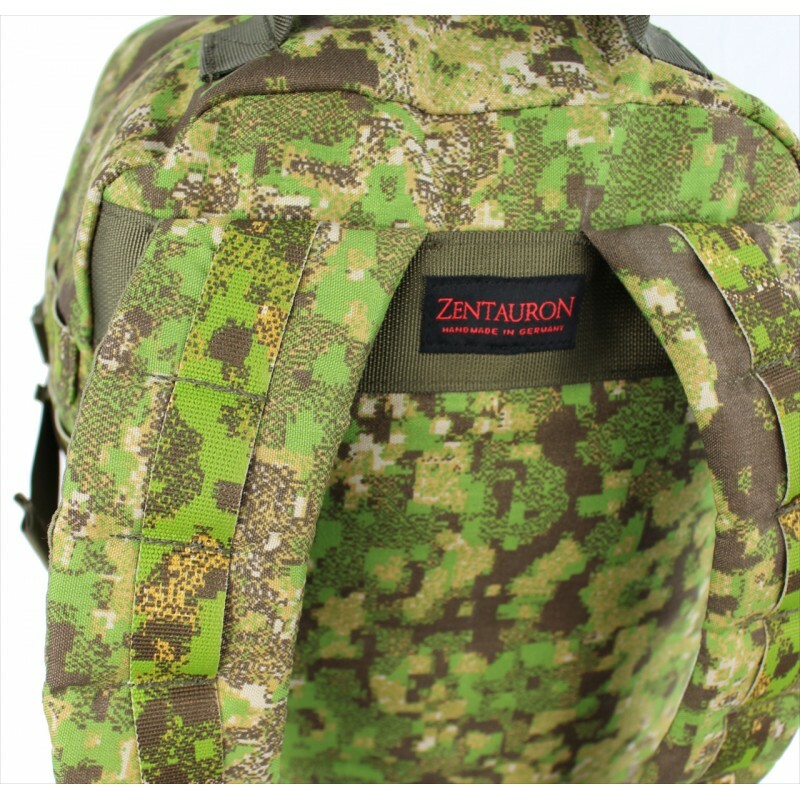 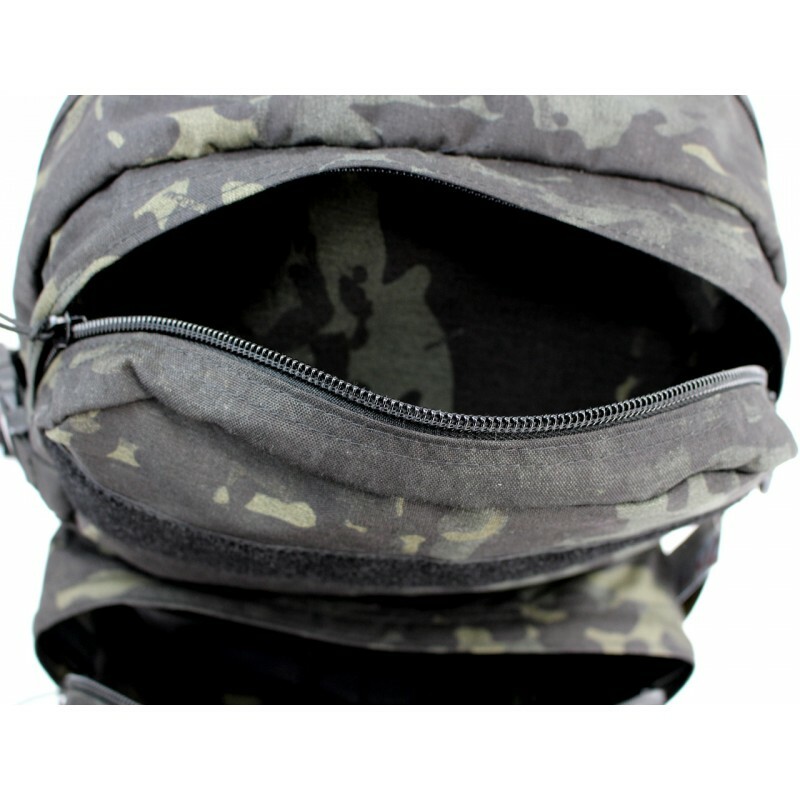 There you can place additional bags or pouches like the Zentauron-side-pouches, which are designed specially for this backpack. 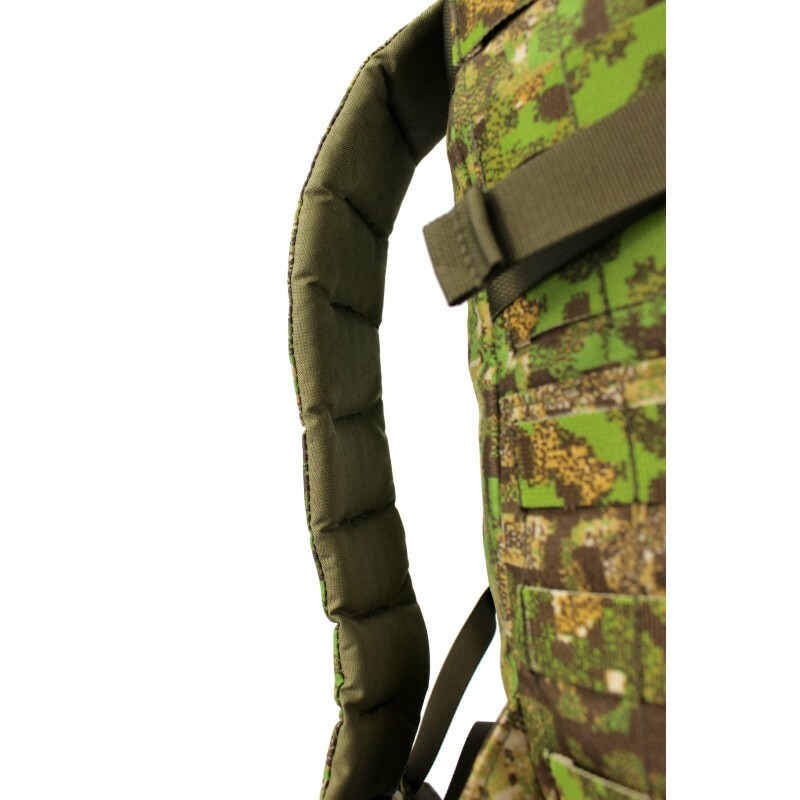 With the 4 compression straps the loading can be tightly lashed and with Fastex-buckles also quickly removed. 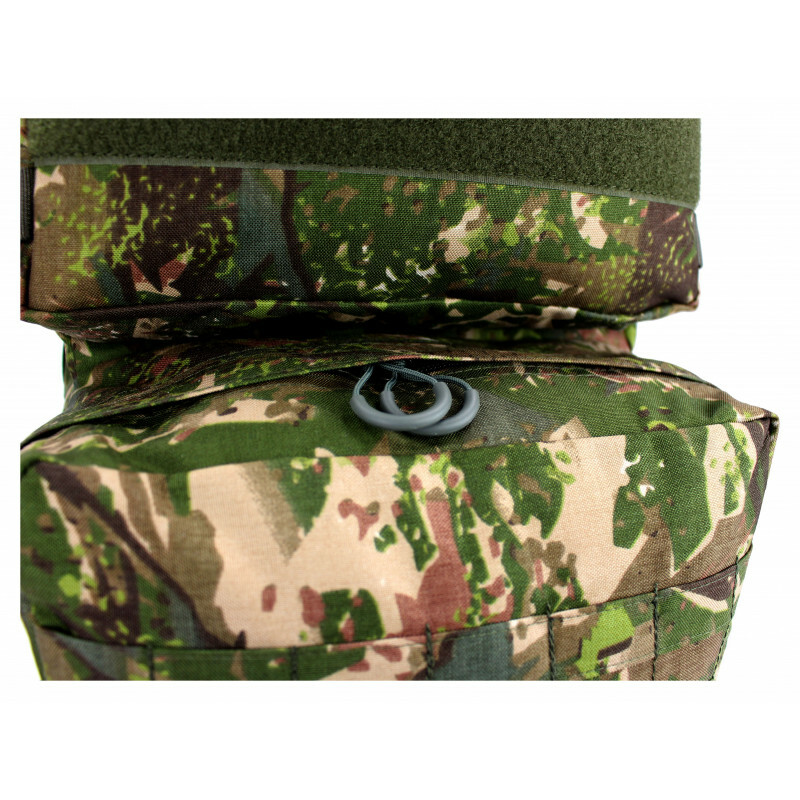 At the bottom are 4 loops, where you can place with transport-belts roll mats or sleeping bags. 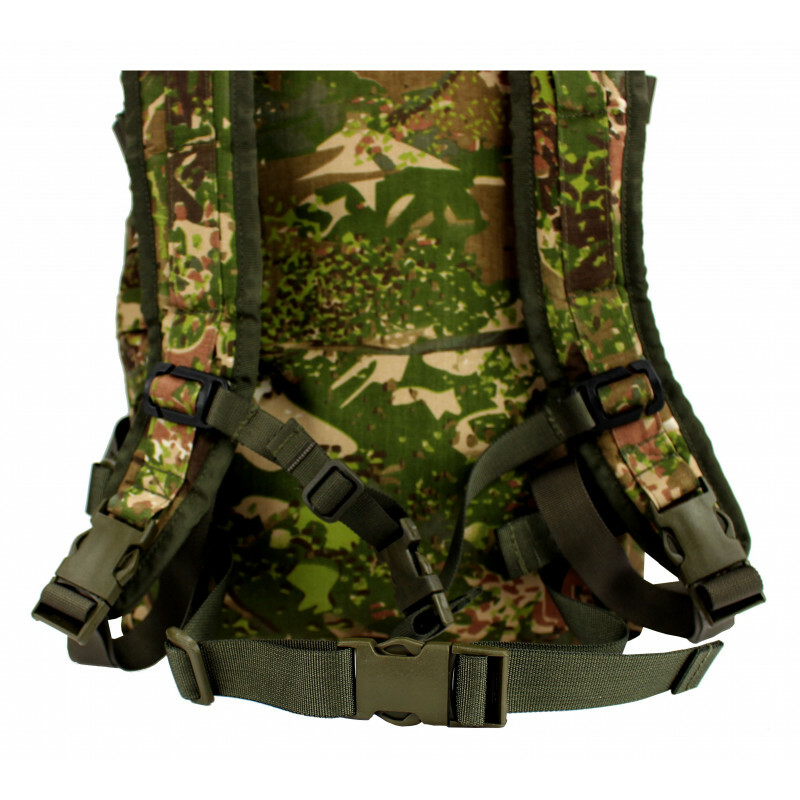 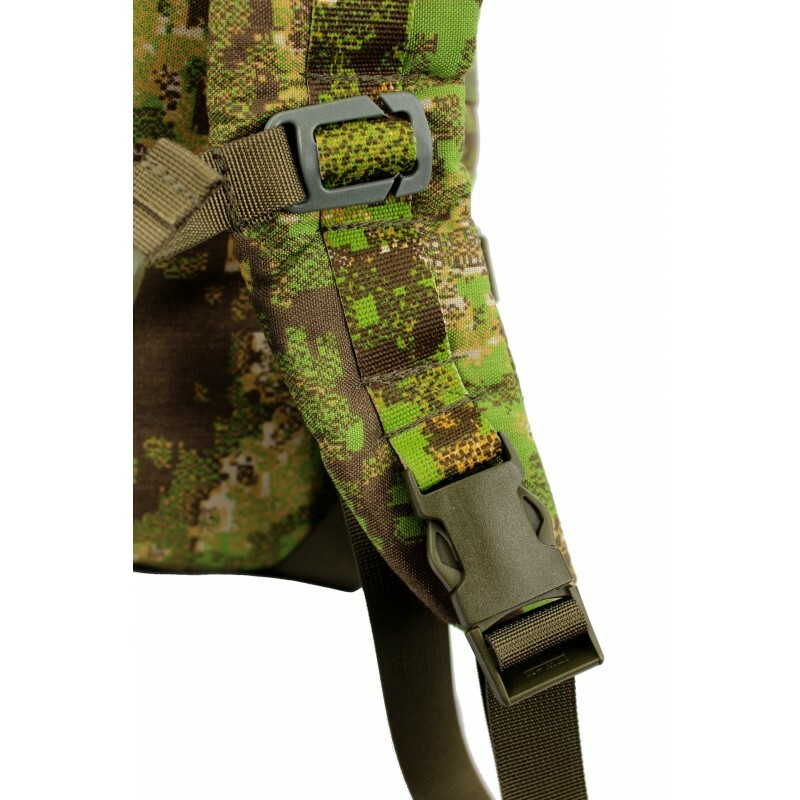 The backpack-carrier-belts are padded and equipped with a chest-strap.